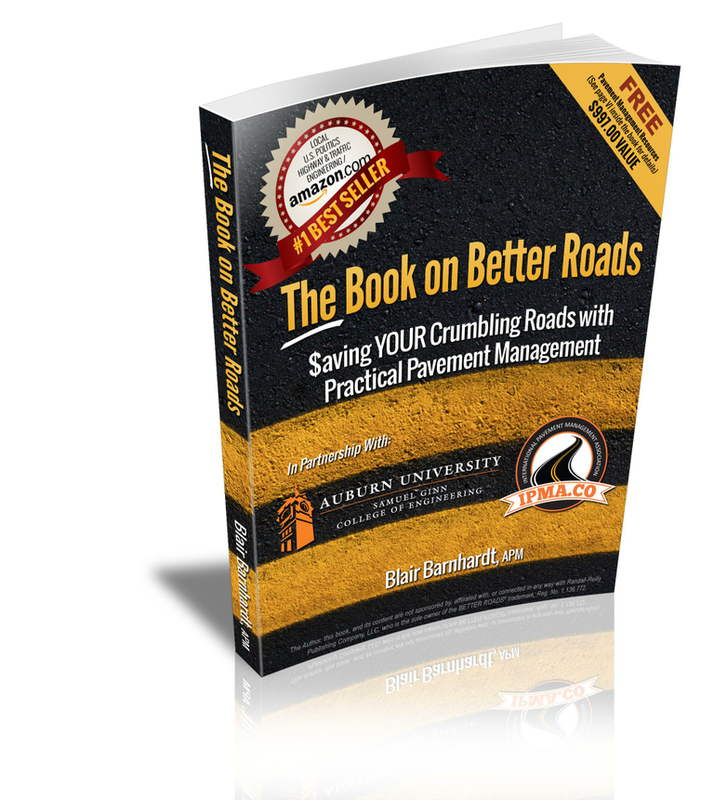 Folks talk about walking the walk and talking the talk, well just know that when I am not writing books, recording videos or podcasts for IPMA™, IPMA™ Academy and Driving America for Better Roads, I am basically out there on some local agency roads, down on my knees looking at every single one… you folks who are reading this book that we did your pavement management for, you could tell me that you’re out fixing something now and I would likely recall being out there and seeing the same thing that you are describing. I think one of the things I saw a lot in Lee County, GA for example was this soil treated base, a soil cement base, up under the hot mixed asphalt layer. Now in this case it almost looks like when the housing industry was booming and all the houses were being built, the builder’s paving contractor, might have been skimping a bit. As such, and I hate to say this, because an asphalt wearing course and a soil cement base typically provide 15 to 20 years of service life, I think there may have been a little bit of skimping going on during the construction stages of this example. That’s all I’m going to say with the asphalt thickness. Because we diamond core drill at the network level for each and every road and it’s part of what we do when we manage the pavements for local agencies. It is also part of what we teach at IPMA™ Academy www.ipmaacademy.com and feel that the network level diamond coring is an instrumental step in the slection fo the proper and most effective rehabilitation treatment for the requisite candidate selection of roadway. I remember seeing a a lot of really great cement treated bases holding up to the loading of heavy cotton trucks and the big tractors, and the surface treated roads were holding up really well as well but I think along the way the newer sub division roads got a little thin on the asphalt wearing surface and I suspect that the inspection staff probably know this. It may be that during times of expeditious building of these subdivisions, the County inspection staff may have been stretched fairly thin. 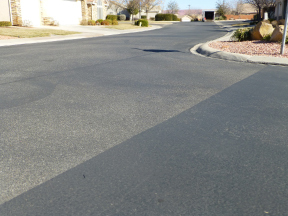 It is evident that when you go to fix a pothole, you notice that those locations are also the same place that it got really thin in terms of the asphalt pavement wearing surface. We say that at The IPMA™ Academy the learning experience is funducational. So whether we are doing a live event, video, podcast or book for that matter, I made a conscious promise to keep things along the way like a candid conversation you or I may have while driving around your City or County. There are plenty of really technical books out there that cover pavement preservation, pavment management and in-place pavement recycling. However, few if any resources will be as straight forward as this book. You see, this is not rocket science folks. It is simply going out and surveying your roadways, entering those results into simple to use software, and populating a decision tree with several different treatment options that are triggered to be done at the right time. Also, try to resist the urge to fast forward through the book, as I laid it out in a manner that will take you through the vision of the Three Legged Stool System™, present you with the top 10 things that the room full of engineers at the IACERS meeting in Boise ID decided needed to be in the book, give you a bunch of case studies that cover a myriad of treatment options, breakdown the list of treatments and recycling methods that are available, and cover some frequently asked questions. 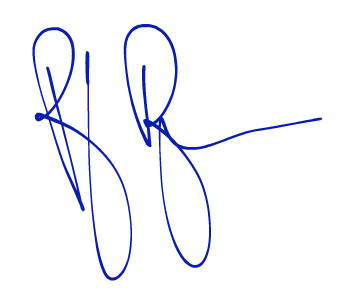 For all of the BONUS material, you simply register your book at www.thebookonbetterroads.com/register. If you’ve ever wondered Chip about an SMA paving or open grade friction course, Doctor Michael Heitzman can explain it later on in this book via a link to a video of him teaching at an IPMA™ Academy LIVE Training Event. And that topic could be a whole class on it’s own so just know that we’ve got some pretty good knowledge coming your way throughout the book. At this point I want to let all those reading this book that if you are a public works official, or elected official, or hold any similar postion such as an army engineer, fighter pilot, basically any position that is not private sector, you can JOIN the International Pavement Management Association (IPMA™) at no charge right here www.ipma.co. In doing so you will know about everything that is coming down the pipe well in advance of our general audience. Also, you will receive a free PDH Power Hour™ Training Session on all things pavement management each month. (CEUs and PDH Certificates will be offered at a low cost if you wish to hang these in your office). So, for those of you who are just meeting me, I spend a good amount of time you know on the road in the RV. So I basically have hunkered down for a hundred twenty days on the road this past year in a 23 ft by 7 ft Sprinter Van. And it’s put a strain on my marriage granted but I think we almost needed to get out there on the road and figure out what the heck was going on in this great country. And right now we are on our way to being about 3 trillion in debt of backlog deficit of back roads in America. So as I mentioned in Part One, by 2040 our grandkids won’t even be able to drive down to McDonald’s to get a hamburger. Why, because the roads in this country and the world are crumbling. I don’t know how many, let me see a show of imaginary hands as you are reading this book, how many people have noticed the roads are getting really, really bad. So it’s everybody, right? All of you agree? Ok, so it’s amazing to think about that in this great county, and the world for that matter, we have all the resources at hand and we have the knowledge and yet for whatever reason, the priorities have never shifted into getting more money for your guys. But we can put a man on the moon, and have self driving cars? Because everyone of you pavement managers and engineers out there, you may not know this yet, but you are being put into a position to fail in your position. Because even if you manage your pavements, and you preserve them, and you recycle them, the biggest challenge you face is that there is never enough money to go around. And as a result, what’s happened here is that the contractors have missed out on a lot of opportunity to make more profit and produce more tonnage and cubic yards from their HMA and ready mixed concrete plants. You see, some of the hot mix asphalt and Portland cement concrete paving contractors are thinking that preservation and recycling and pavement management is a bad thing when in fact it will actually grow their business. And after driving around for so long and shooting these videos for www.drivingamericaforbetterroads.com and putting together www.ipma.co and the www.ipmaacademy.com , and being with a bunch of smart people across America and hanging out with these Local Agencies from Washington State all the way down to Florida and California all the way back to Maine and everywhere in between I’ve learned a few things along the way. Now I may not be the brightest lightbulb in the fridge, but when I constantly get phone calls and emails every day from local agency engineers saving millions and doing more with less, I CAN’T continue to keep this a secret. I WANT TO TELL THE WORLD! And one of the underlying things we all know is that our roads are crumbling. Well, granite, there are likely some folks that don’t see it, afterall the average person commuting to work 29 miles a day one way sees a milling machine milling up perfectly good asphalt material from a roadway and dumping it into a ditch only to replace it with something that is three times the cost of what they could be doing may not realize the potential for saving America. Some states are resistant to make the switch, while others states are blossoming. 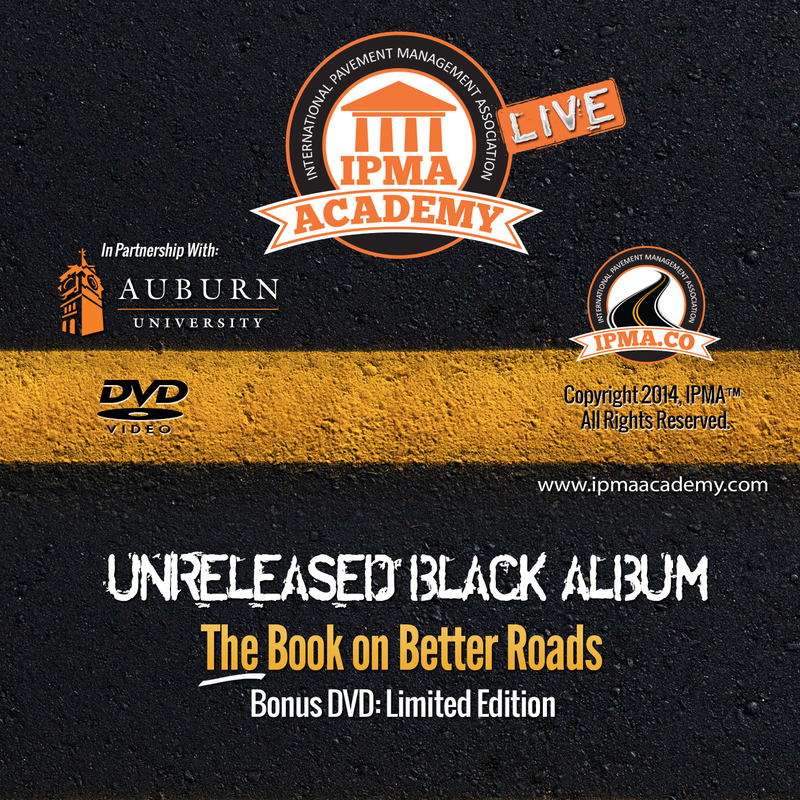 So as you listen to some of the free BONUS material when you register your book at www.thebookonbetterroads.com/register you’ll hear some thoughts from the speakers from our IPMA™ Academy LIVE events from Georgia and California and we’re going to try to highlight what’s going on in other areas with some positive case studies and the likes of that. So, think about that for a second. Some state DOTs specifically ask me to speak for them, to train their employees, to do keynote speeches. Other state DOTs are trying to stab me in the back, trying to make it sound like The Three Legged Stool™ System of Pavement Management is not for them, after all they say, the motor grader operators of their local cities and counties can do the pavement distress evaluation. There is free software that you can get them will simply tell you when it is time to do a thin overlay, medium thick overlay or thick overlay. Why would you want a professional working on your roads for 2 cents a SY saving you $10.00 a SY with those “snake oil” techniques that work for everyone in America, when you could do it yourself. Oh, and check with some of those state DOTs, because the things they are trying to get local agencies to do, like your motor grader operator do the pavement distress evaluation…. And use simple free software….. they likely hired someone at their office to do their own pavemenent with some fancy automated survey vans and software that cost $200,000.00 or more. Again, trying to take the high road here as promised, but for too many years I have watched as hold out states have tried to get in the way of progress for whatever reason (you can figure that out) when they could be saving their ratepayers millions of dollars in eco-efficient savings. Yet, please note that each and every one of these state DOT officials attend the big fancy conferences, and pay the $10,000.00 to be members of the big fancy groups and such, only difference is that while listening to some of the biased information coming from these big fancy groups, some state DOT officals actually implement. Others simply go back to their office and convince their staff, and the city and county engineers that listen and follow their advice, that this “snake oil” should be avoided, and we should keep doing things the same old same old way. 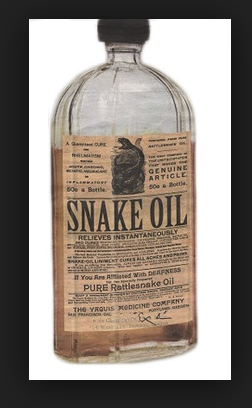 Now I use the word “snake oil” here to represent the words that were spoken to me by some high raking US DOT official. That person will not be named here. Realize that the term “snake oil” could be used broadly to represent any and all of the treatments that are available to us as pavement managers. In its simplest form, some state DOTs will not advance in their pavement management and refuse to teach others about the benefits of using alternate methods of pavement management, in-place pavement recycling and pavement preservation. In fact I will go one step further here, and emphatically state that some US DOT officials, state DOT officials, contractors and industry associations will actually spread venom and falsified stories about these same treatments that work worldwide to save crumbling roads during their so-called training sessions, even though as previously mentioned, FHWA has put an emphasis in MAP 21 on all things sustainability and preservation. I accept the responsibility of acting in the role as America’s watchdog on our economy and take full responsibility for the statements that I am making while you read this book. We cannot resurrect our economy and have better roads for all if the naysayers are allowed to continue in their current roles. 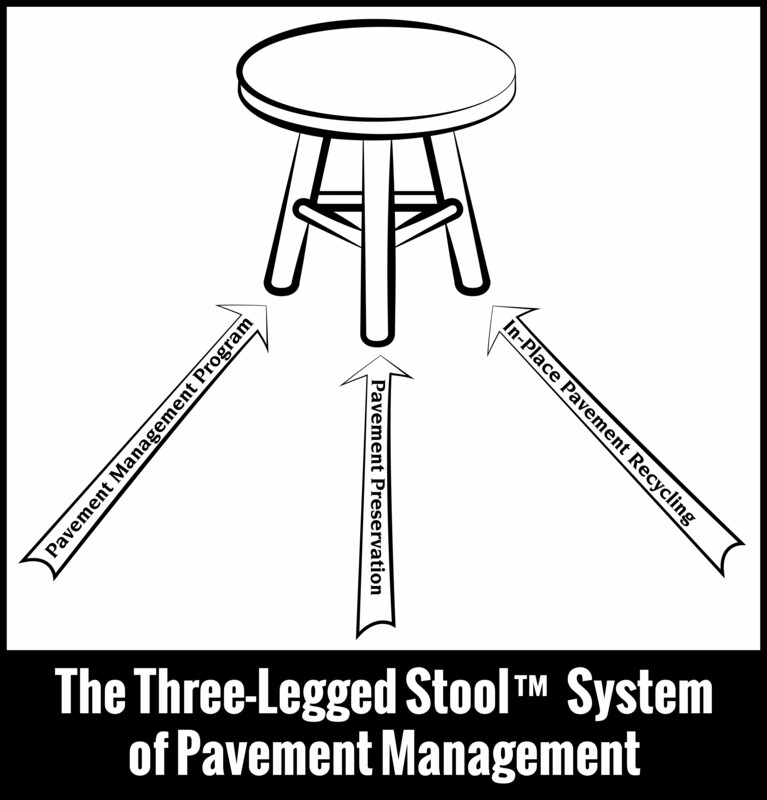 Just know that if the road ahead, if we do the Three Legged Stool™ System of Pavement Management it is a win, win, win for everybody. Nobody loses. You as an agency engineer will have more money. Contractors will be making more profit and putting down more tonnage and placing more cubic yards. The world will be a better place. I know that sounds rosy, but it can actually really happen. I have been to the new land, it is great there. Recall that I have been doing this since 1995, and watched agencies save millions, perhaps billions. This works folks. I am happy to say that it’s already starting to really happen now, in a lot of the areas we’ve visited around this country and from folks I talk to across the world. So, I always say this to the contractors, if you want to get 10% more tonnage out the door and 20% more profit listen real close, this is not rocket science? Local agencies, that’s you guys in the crowd reading Part Two, cities, townships and counties, you want to do more with less, with less carbon footprint this is your answer. Like Hans told me from the City of San Jose, he said, “Blair, even if it was the exact same amount of money to recycle roads in-place, or to do the conventional rehabilitation method; I would still recycle the roads in place. Because it’s more Eco-Efficient.” 65% more Eco-Efficient. Less Carbon footprint. 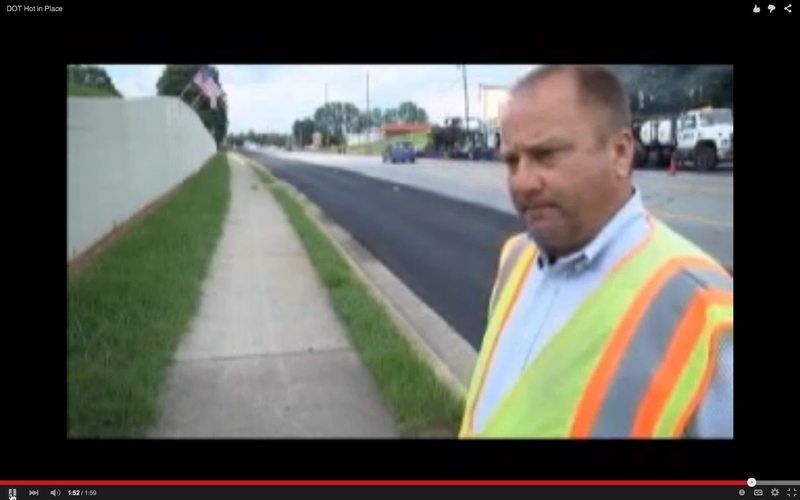 We’ll talk about software like MicroPAVER™ and StreetSaver® pavement management software, on the consulting side of the business, we set up about 14 or 15 local agencies in the Southeast with StreetSaver® pavement management software. We also used MicroPAVER™ to do pavement manager for the US Corp of Engineers at Dugway Proving Ground in Utah. On the teaching side we cover both software in detail in IPMA™ Academy www.ipmaacademy.com and do private customized training on both. There may be many different ways to evaluate and manage your pavements, these two software programs we discuss may be the only two that follow ASTM 6433 verbatim. The reader is encouraged to look at all of the options, not just the ones that we discuss in this book. 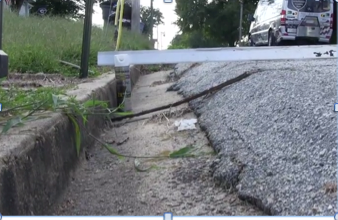 The City of Oakland in Georgia for example, were the very first people to use StreetSaver® in the Southeast. We also do a lot of work for the U.S. Army corp and other local agencies with MicroPAVER™ which is also used by the largest municipality in USA, City of LA. And we actually go out, Scott McDonald and I, and teach MicroPAVER™ training for 2 ½ days, LIVE, we just did a session in Richmond, VA as a matter of fact. Our warmest thanks to all of those loyal clients who have attended our workshops, purchased our books, DVDs, audio CDs, listened to our podcast, watched our training videos, gone through the IPMA Academy Accredited Pavement Manager Certification Program, and most importantly hired our firm to help them save millions!